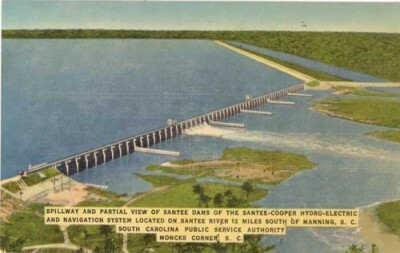 On April 18, 1939, after four years of court battles, the plans for the Santee Cooper Hydroelectric and Navigation Project were placed into action. Loggers started clearing the floodplain of the Santee River, removing the huge live oak and cypress trees that thrived in the area. Eventually 177,000 acres of trees and swamp were cleared. Some of the trees were over 12 feet in circumference. At the time the project was introduced, South Carolina was suffering economically. Even before the 1929 stock market crash, the price of cotton plummeted and much of the state’s soil was depleted. By the early 1930s, over 30 percent of workers in rural areas were unemployed and roughly 93 percent of them had no electricity. State politicians were eager to jump on board the public works program of the New Deal. The promise of jobs, federal money, and electricity was enticing. 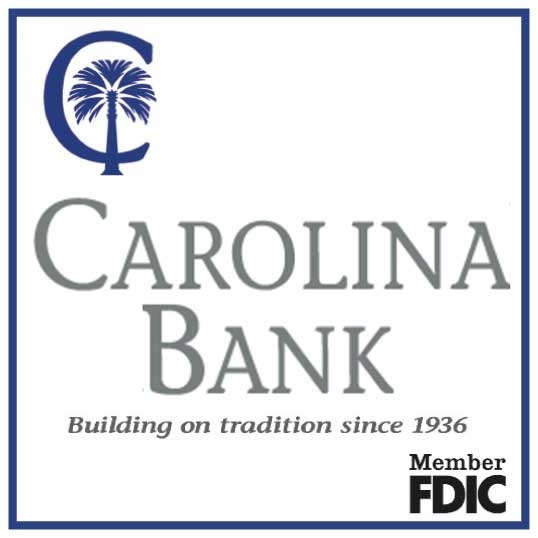 The state legislature established the South Carolina Public Service Authority to build and oversee the Santee Cooper Hydroelectric and Navigation Project. The purpose of the project, which would create two lakes, was to improve the “health, welfare and material prosperity” of the area. Several private utilities challenged the project in court, which delayed work until April of 1939. Along with draining the swamp and downing the trees, about 900 families were relocated. Most of these were African American and were offered free chickens after their houses were moved. There were over 20 historic plantation houses in the area and most of those were demolished. White landowners received $12.19 per acre, which was not offered to African American owners. Many of the inhabitants of the area took offense of the government’s claim that the land to be cleared was mostly barren and worthless. And, while about 6,000 graves were moved, many were not. The Works Project Administration (WPA), which oversaw clearing the land, provided jobs to 9,672 South Carolinians. Twenty-two WPA military-style camps were established for the men, who lived in four-man cabins and took their meals in a common dining hall. Most of the clearing was done by hand using saws and cross-saws and there was pressure to get the job completed on time. According to one report, most of the men earned twenty-five cents an hour. All 177,000 acres were cleared on schedule. In November 1941, construction on the dams was complete, the gates were closed, and the reservoirs began to fill. In February 1942, Lakes Moultrie and Murry were full and Santee Cooper generated electricity for the first time. Brought to you by the South Carolina Historical Society.